What better way to kick off a game watching your favorite team than playing a friendly game of Wiffle ball. This field was designed for maximum fun with minimal maintenance. A durable XGrass synthetic turf system is combined with poured-in-place rubber base paths and pitching mound from Play It. Kids now have a fun, safe place to play while waiting for the game to start. 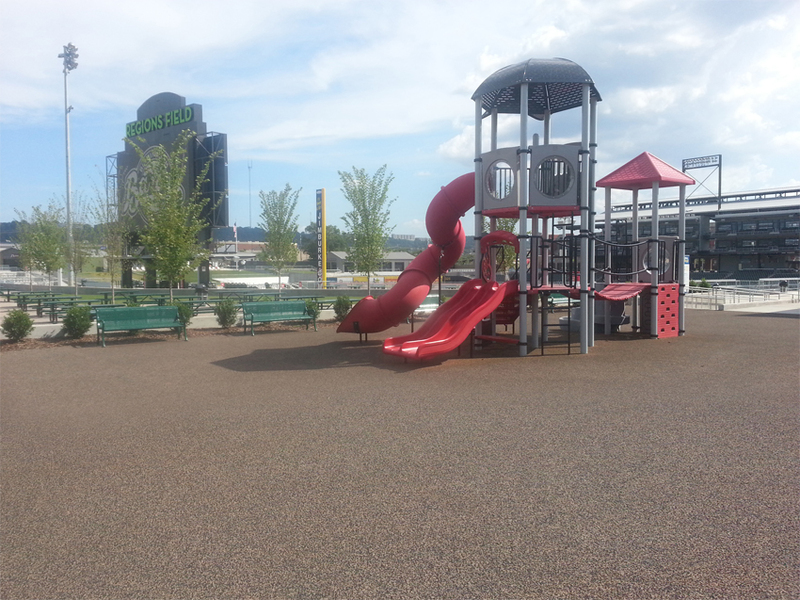 No family friendly facility would be complete without a playground for the kids. For Region's Field, Play It integrated poured-in-place rubber safety surfacing for around the playground equipment. This low-maintenance surface met all of the safety standards for fall height, integrated with the surrounding environment and complied with ADA standards for accessibility. 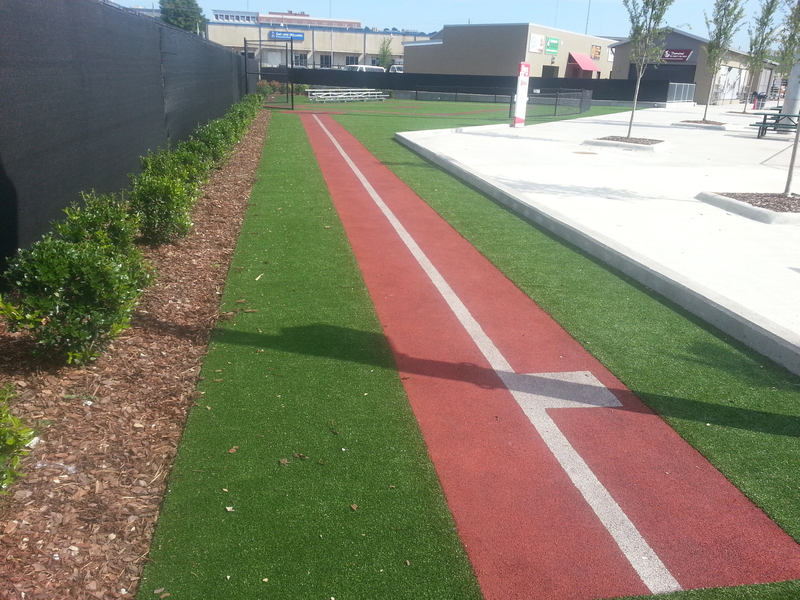 To help kids release some of their excess energy prior to heading into the game, turf and rubber paths were integrated into the space so kids could practice running the bases. 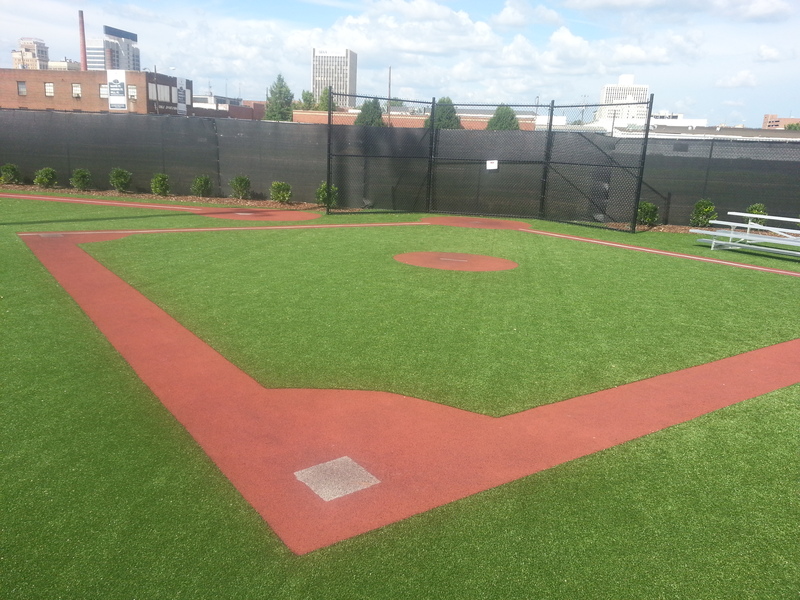 The poured-in-place rubber surfacing features baselines and bases and is surrounded by synthetic grass on both sides so it truly mimics a baseball field.